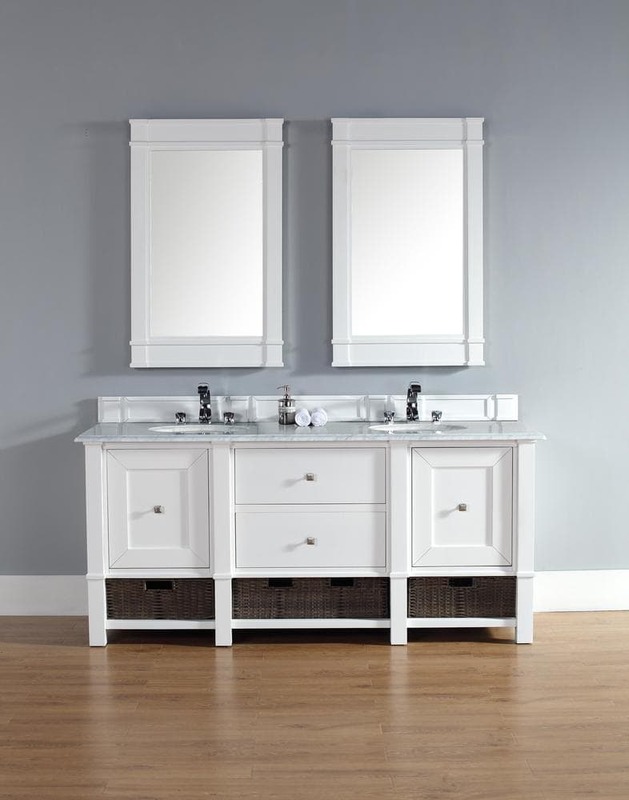 The Madison 72", double sink, Cottage White vanity by James Martin Furniture features a sleek transitional style. Behind each of two doors are shelves for storage. 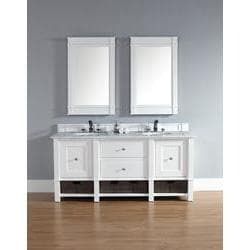 Two drawers are placed in the center of the vanity for additional storage. The Satin Nickel finish hardware is showcased on this beautiful furniture piece. Indoor/outdoor resin Wicker storage baskets and matching decorative wood backsplash are included.